City Hall building in the center of town. The Glockenspiel (top-center) chimes daily at 11am. 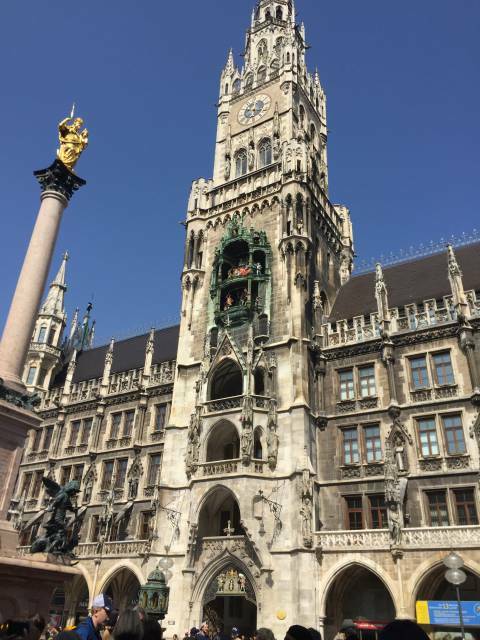 This glockenspiel is the largest in Munich and the 4th largest in Europe. I am blessed enough to join my friends and Education First on another wonderful journey...here we go!